Umi, Uzo and Utah are three perfectly posh princesses. 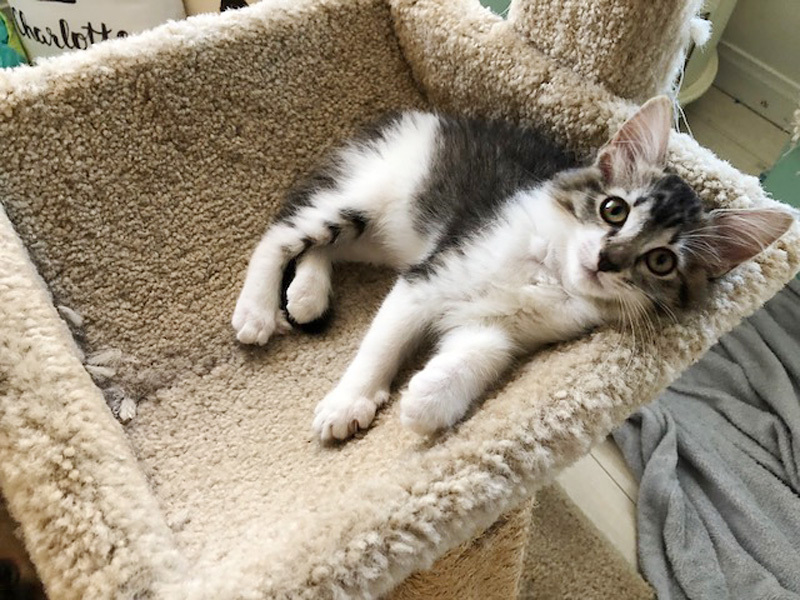 Seeing these kittens in their comfy foster home, it’s hard to imagine they were once on the streets. 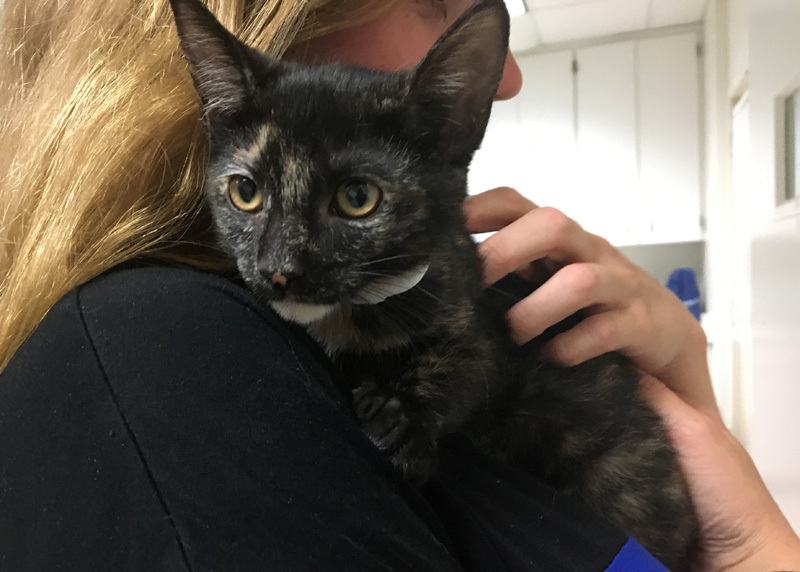 The U Kittens were found in a gritty, industrial area near downtown Los Angeles that was home to a feral cat colony. However, all the cats in the colony had already been spayed and neutered through local TNR (Trap-Neuter-Return) efforts. So we can only assume that someone had dumped the litter of kittens there. 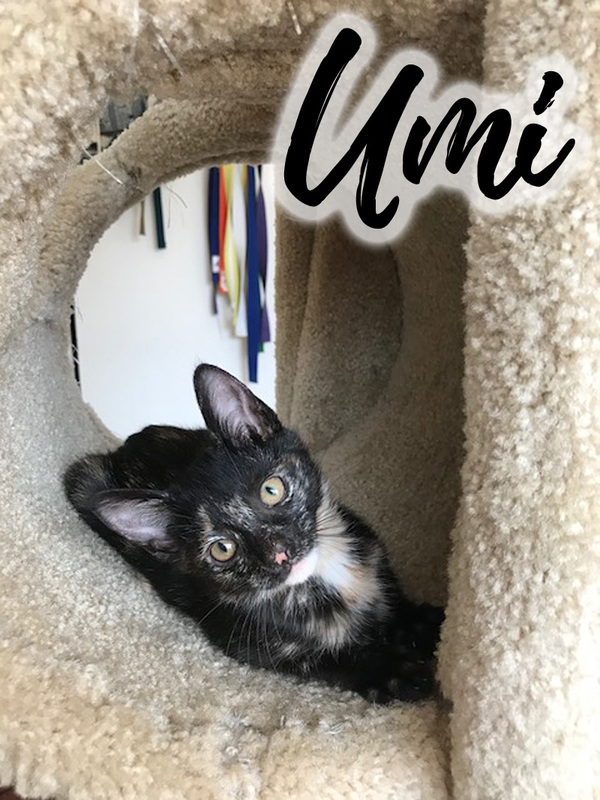 Umi, Uzo and Utah were left to fend for themselves, amid scary cars and unfamiliar alley cats. 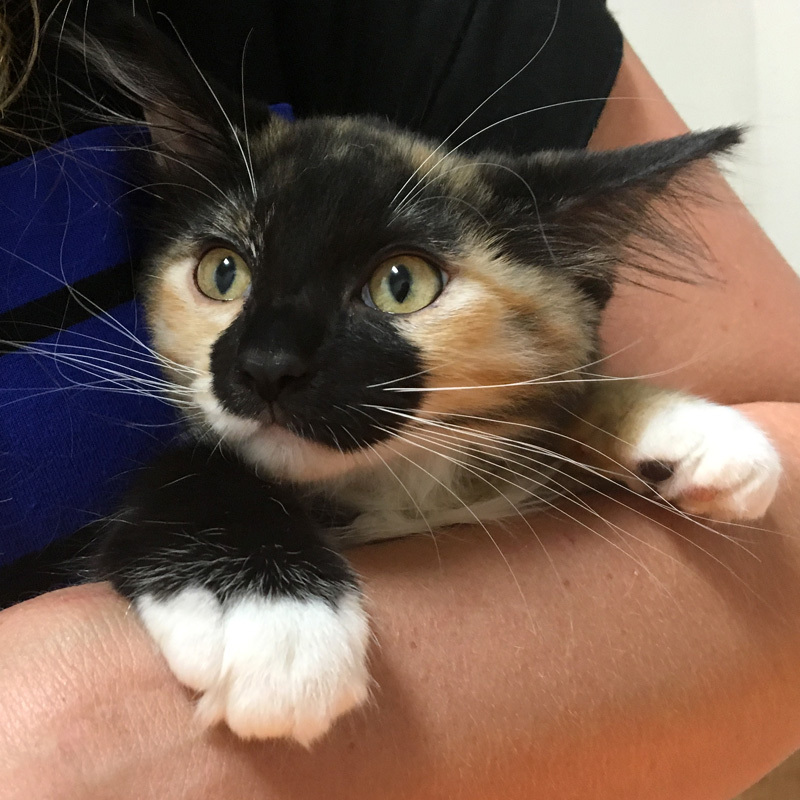 Thankfully, someone heard the kittens crying and contacted one of our rescue partner organizations. They were able to trap the kittens and bring them to safety. The kitties were beyond adorable! 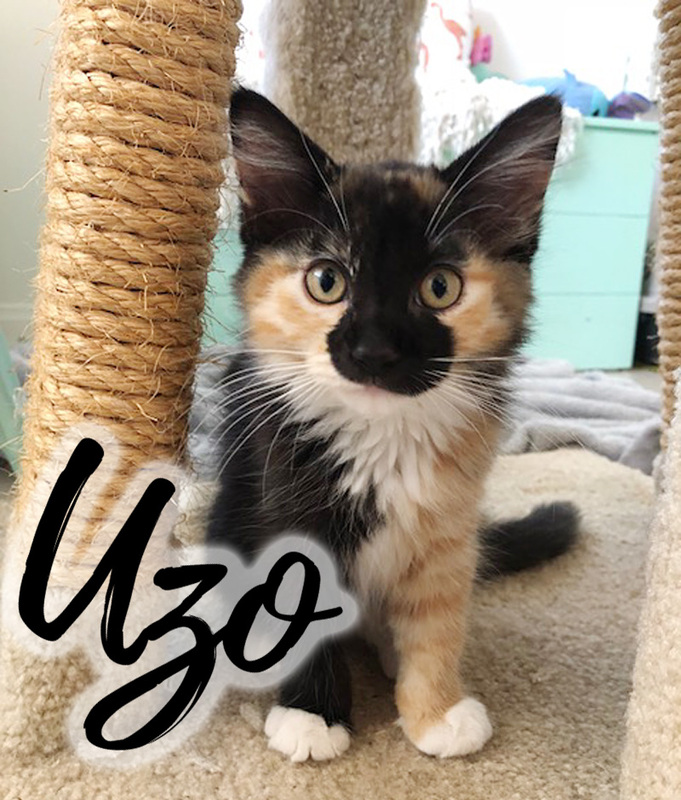 Utah was a gorgeous longhair tabby; Umi was a silly tortie with a cute pink nose; and Uzo was the most unique calico with precious white socks. Cute as they were, our rescue partner was flooded with kittens and couldn’t find homes for all of them. 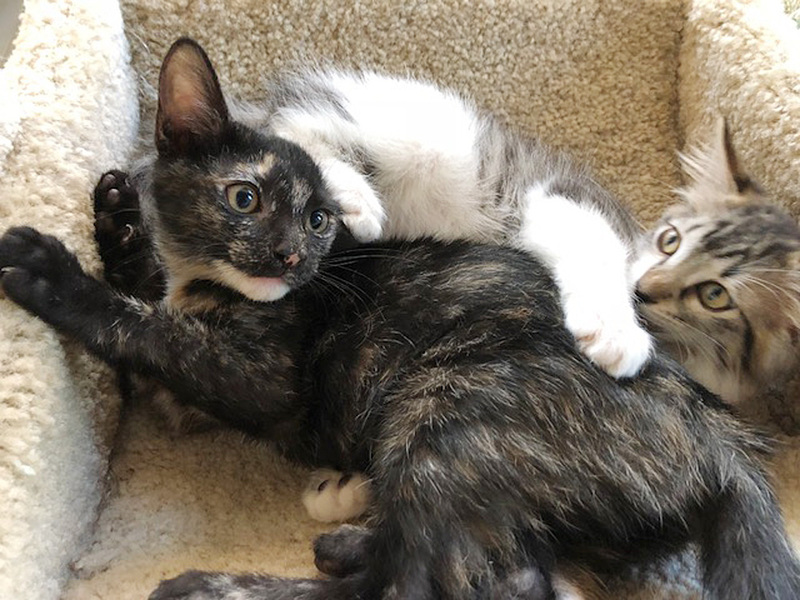 Helen Woodward Animal Center stepped in, and the kittens arrived at the Center on July 12, 2018. They received medical check-ups and vaccines before going home with a loving foster. 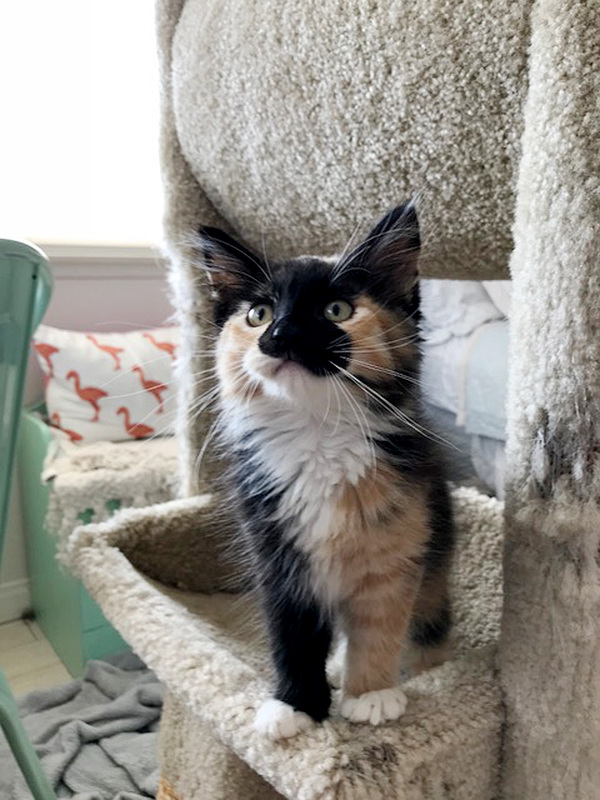 After several weeks in foster care (where they enjoyed lots of snuggles and climbing on the cat tree! ), they returned to the Center for their spay surgeries. 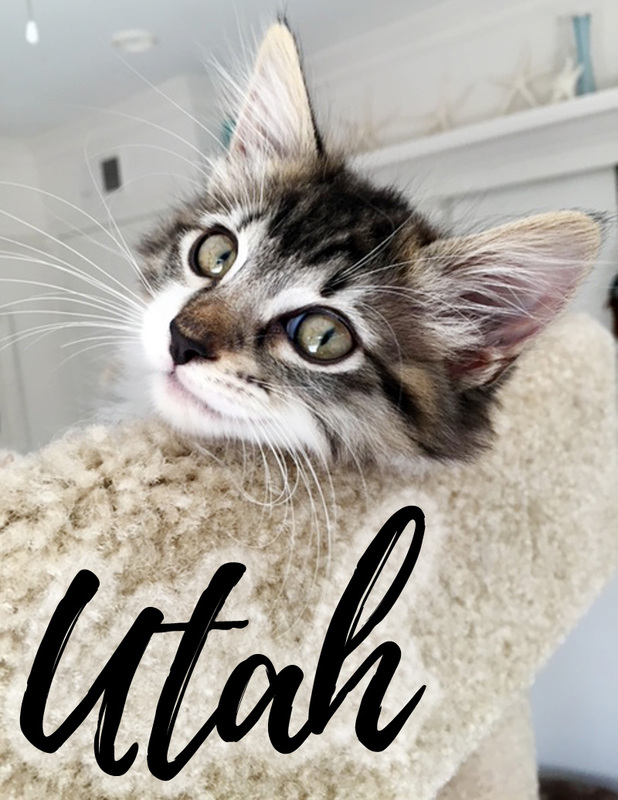 The U Kittens are now looking for their forever families. We’re sure these girls will make U very happy! 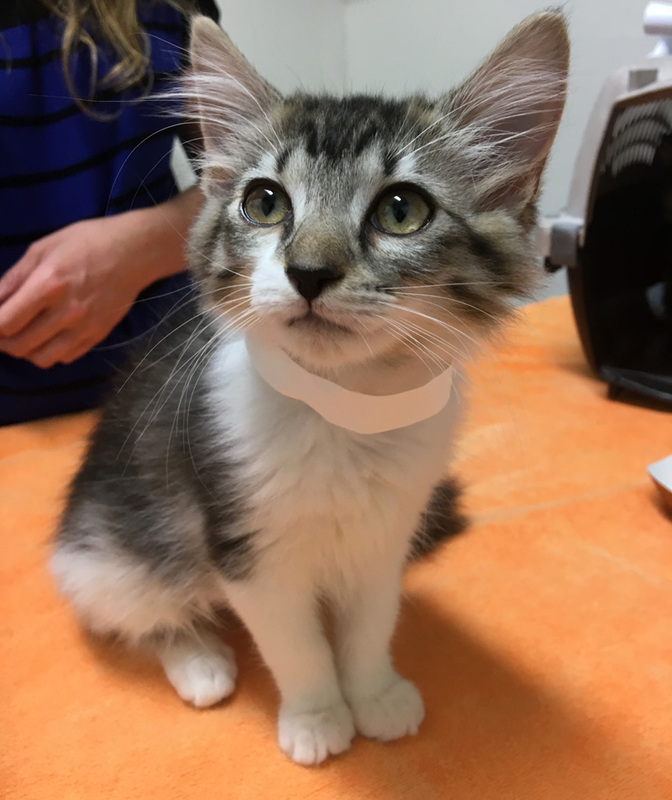 Look for them on our Adoptable Cats page.